Do you want that polished concrete floor to look without having to wait the days or weeks it would take you to grind and polish, and then grind and polish some more? 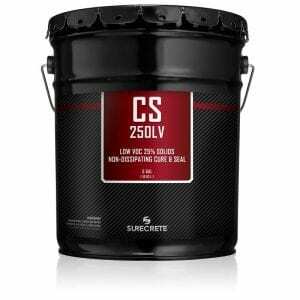 Then SureCrete’s high gloss clear polyaspartics floor coatings are the products you’re looking for. 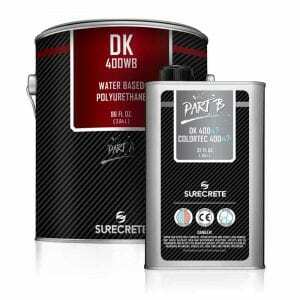 Our Dura-Kote polyaspartics have been specially formulated for professional use in the concrete sealer and decorative concrete industries. Once cured, they are some of the hardest coatings available on the market today, and oh by the way; they cure in as little as 2 hours. Polyaspartics are far and away the first choice for applicators when working in environments that require a very fast turn-around time for projects, such as supermarkets or high-end commercial retail locations that can’t afford to be closed for any period. 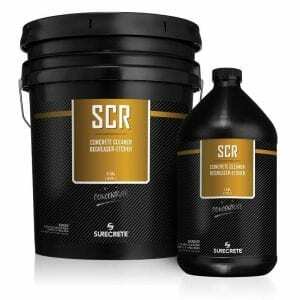 These products allow you as a professional applicator to prepare, re-color and apply two coats of sealer to a floor between the time the retailer’s doors close for the night and re-open in the morning. SureCrete’s Dura-Kote DK 120™ is a specially formulated 67% solids hybrid solvent based polyaspartic coating designed for application over interior concrete, cement-based overlays, or as a top finish coat on epoxy systems. Dura-Kote PFC-120 provides a low VOC (330 g/L), UV stable, penetrating, film forming, color enhancing, and high gloss wears surface. The high-performance clear top coat generates the premier balance of strength, flexibility, chemical and scratch resistance. As a vertical wall coating, it enhances anti-graffiti properties. Dura-Kote PFC-120’s rapid cure time eliminates excessive waiting to return a floor to service. Unlike many polyaspartics, it has a user-friendly pot life of approximately 20 – 30 minutes. Turnaround time for a floor may be as little as 5 – 6 hours. It is ideally suited for both commercial and residential settings: aircraft hangars, clean room floors, manufacturing facilities, warehouses, bars, clubs, retail stores, automotive showrooms, residential interiors, garage floors, stadiums, or any high traffic area where an exceedingly resilient floor is desired. When dealing with commercial applications where complete business shutdown is not a feasible option, polyaspartic coatings provide a much-needed solution. When the floor is prepped properly for these coatings, they can be applied overnight in a very small application window to ensure that no time is lost for the business. This is especially necessary for retail and restaurant or bar locations that can’t afford to close for even one day. Not only are polyaspartics very quick to apply, but they also offer an astounding amount of chemical and abrasion resistance. These properties also make PFC-120 an ideal coating for DIY homeowners who only have a short period (usually one day/night on the weekend) to get their project finished. Dura-Kote PFC-180 is a specially formulated 80% solids hybrid solvent based polyaspartic coating. Unlike many polyaspartics, it has a user-friendly pot life of approximately 20 minutes and the ability to create a moderate build (6 ½ mil) single coat top coat. Turnaround time for a floor may be as little as 6 – 8 hours. Epoxy flakes may be covered in a single pass. Dura- Kote PFC-180 provides a low VOC (less than 200 g/L), UV stable, penetrating, film forming, color enhancing, and high gloss, moderate build wear surface. The rapid cure time eliminates excessive waiting to return a floor to service. It is ideally suited for both commercial and residential settings: aircraft hangars, clean room floors, manufacturing facilities, warehouses, bars, clubs, retail stores, automotive showrooms, residential interiors, garage floors, stadiums, or any high traffic area where an exceedingly resilient floor is desired. Some projects simply require a realy fast turn-around time. PFC-180 is the ultimate combination of easy workability and fast curing properties. Using Dura-Kote PFC-180, the vast majority of concrete surfaces can be given a single coating and be ready to receive foot traffic in just a few hours! This is especially ideal in retail and service industry business arenas where closing shop for any period of time is simply not an option. With PFC-180, a professional contractor can easily prepare and seal an entire floor in just one 6 to 8 hour period of time. 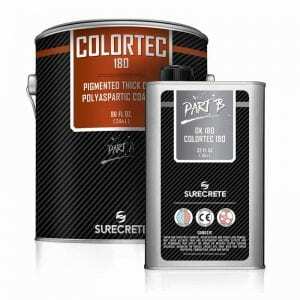 For a homeowner looking to complete his weekend project in just one day, PFC-180 can provide the necessary cure time without sacrificing any level of protection as might be typical of acrylic or other less chemical or abrasion resistant sealers. And at such a low VOC rating of under 200 grams per Liter, PFC-180 is also ideally suited for architecturally green projects and for generating LEED points to help land these types of jobs. 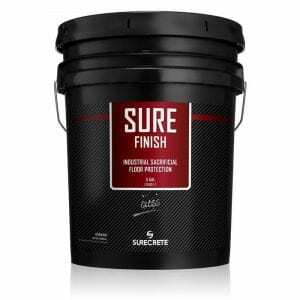 How Do You Apply SureCrete’s Dura-Kote Hybrid Polyaspartic High Gloss Sealer? Any surface that is about to be sealed needs to be completely cured, clean and free of all contaminants and fully profiled and etched. Make sure that temperatures will remain between 32 and 90 degrees Fahrenheit and relative humidity to stay below 75% for a period of at least 12 hours following application. As a by product of it’s very fast curing properties, polyaspartic’s is extremely sensitive to moisture in the substrate it is applied to, so care should be taken to keep moisture in the concrete near zero. (DK 120) Pour 1 part “B” into 4 parts “A” into large mixing container (we pre-measured the kits to make it easy on you!) and mix mechanically for a minimum of 2 minutes. Use a premium, de-fuzzed, phenolic core roller to roll out thin coats over workable area, making sure to maintain wet edges and backroll the entire surface. Though not usually necessary, if you would like to apply a second coat, first coat must be dry to the touch (typically within 2 hours depending on environmental conditions). If first coat has cured beyond 10 hours, the floor needs to be screened with a 100 grit sanding screen prior to second coating to ensure a good bond. Second coat applies same as first coat. 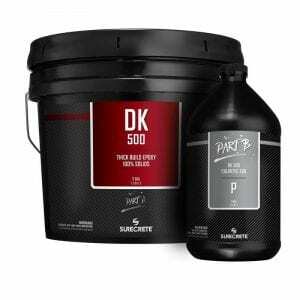 Question: Can I use just one coat of Dura-Kote Polyaspartic Floor Coating? Answer: Yes, you can! Although it will depend entirely upon your desired finish floor and amount of protection you need, polyaspartic’s can stand alone as a single coat sealer for your concrete project. Question: Will Dura-Kote Polyaspartic’s self-level and fill small holes? Answer: Yes. It is a higher solids content coating than an acrylic sealer, but is not high enough to fill large voids, however our polyspartic formulations were hybridized to allow for easier product flow and longer pot life, and thus have less solids and elasticity than a prototypical high percentages of solids polyaspartic coating that would bridge larger cracks and voids in the concrete surface. Question: Can Dura-Kote Polyaspartic’s Clear Coatings be used outside? Answer: No, polyaspartic coatings are not vapor-permeable and therefore should not be utilized in exterior applications. Question: I have strict VOC laws in my area, can I use Dura-Kote Polyaspartics? less than 200 grams per liter (DK180) this product can be used in almost all states or municipalities. Answer: Yes. It is a higher solids content coating than an acrylic sealer, but is not high enough to fill large voids, however our polyspartic formulations were hybridized to allow for easier product flow and longer pot life, and thus have fewer solids and elasticity than a prototypical high percentages of solids polyaspartic coating that would bridge larger cracks and voids in the concrete surface. I’ve already got a coat of DK400 on the floor from a few months back and I’m having problems with it showing light scratches from things such as dragging a clean plastic vacuum across it, can I come back with a top coat of DK120?